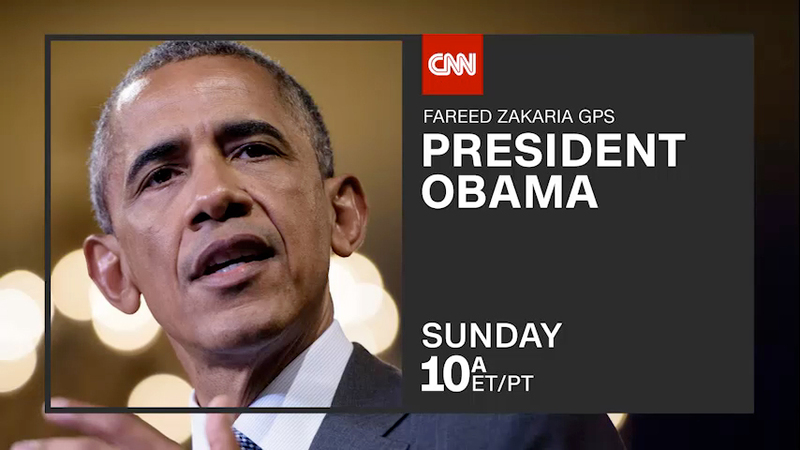 As President Obama finishes his term in office, CNN’s Fareed Zakaria hosts a special edition of Fareed Zakaria GPS to explore the President’s legacy through the voices of his closest aides – and in his own words. Featuring an exclusive interview with President Obama, Zakaria revisits key moments from Mr. Obama’s tenure in office. They discuss his achievements and regrets, and discuss how the weight of the most powerful office in the world leaves an impact on each occupant – and how, as president, he’s made critical decisions before him. Voices From the Obama Years will premiere Sunday, Jan. 1 on CNN/U.S. and CNN International. The one-hour special will premiere on CNN/U.S. at 10:00am and encore at 1:00pm, and will air on CNN International at 7:00am, 3:00pm, and 10:00pm. Secretary of State John Kerry (2013-present); Leon Panetta, former CIA director (2009-2011), former Secretary of Defense (2011-2013); and Susan Rice, PhilD, former U.S. Ambassador to the United Nations (2009-2013); National Security Advisor (2013-present), give viewers an inside look at President Obama’s White House legacy through exclusive, candid interviews on race, partisan politics, capturing Osama bin Laden, the President’s management and leadership styles, the financial crisis, and more. VOICES FROM THE OBAMA YEARS will also live stream via CNNgo Sunday, Jan. 01, and will be available On Demand via cable and satellite systems beginning Monday, Jan. 02 on CNN/U.S. CNN International: 7:00a.m., encore at 3:00p.m., and 10:00p.m. CNN/U.S. : 10:00a.m., encore at 1:00p.m.